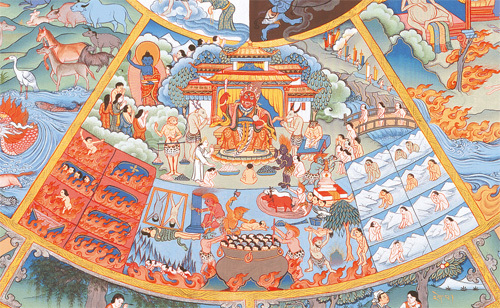 The cause of being born in any of these eighteen hells could be a vast accumulation of harmful actions perpetrated out of desire or delusion. Even so, a single momentary act such as taking life or speaking harsh words to an exceptional being, when carried out with a mind of intense anger, will propel you straight to the hells. This page was last edited on 31 December 2017, at 19:12.